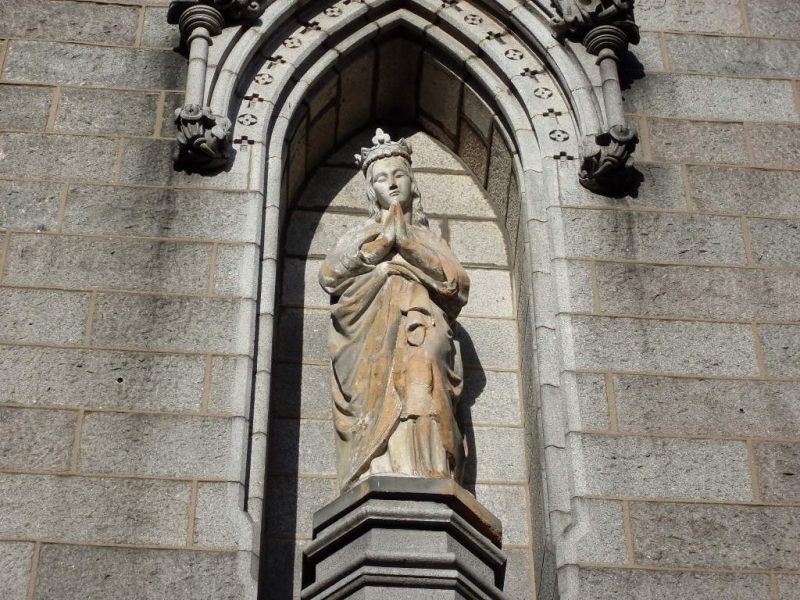 The old statue of the Virgin Mary was situated in a Granite Niche at the front entrance of St. Mary's Cathedral in Aberdeen. 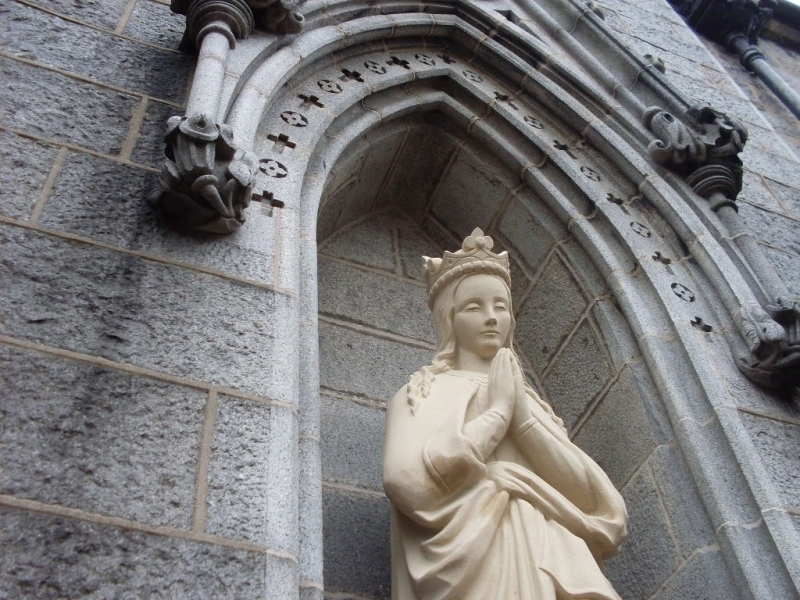 It was 150 years old and had been feeling the effects of weathering and pollution. 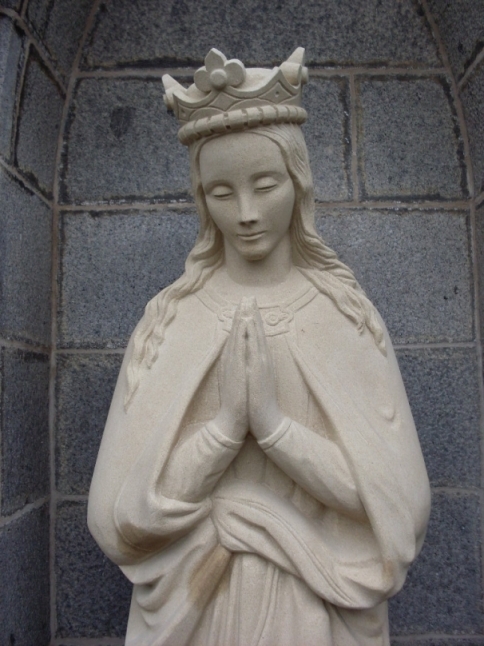 The sharpest features of the statue had crumbled away and hard black carbon deposits were covering much of her area. 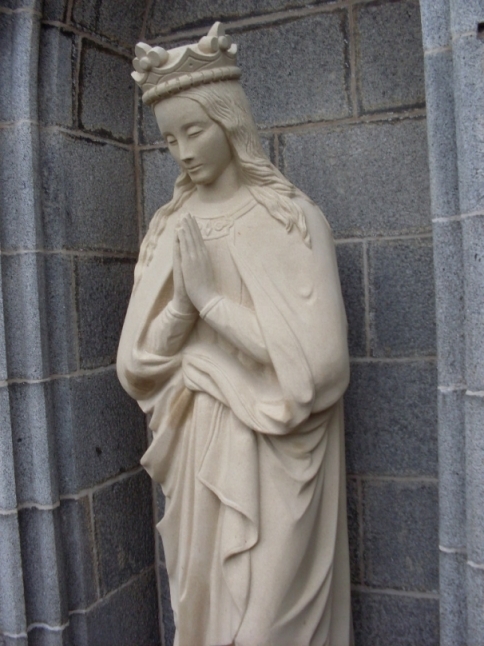 A crack in the statue along the mid section caused by the rusting metal pins used to secure her from the back had threatened to cause a structural problem. So the decision was taken to replace her with an exact copy. 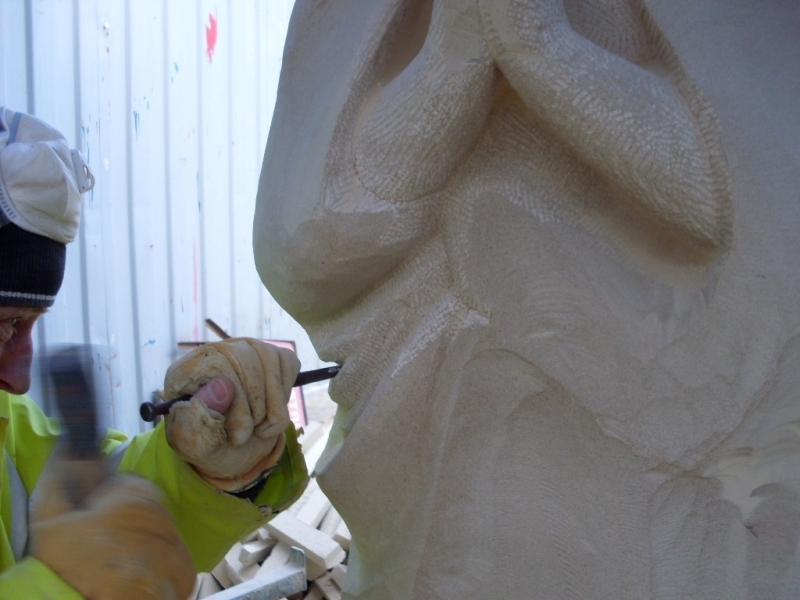 The stone we used was Winton Fell, which has almost no beds and is a tight consistency allowing us to carve the sharp features. 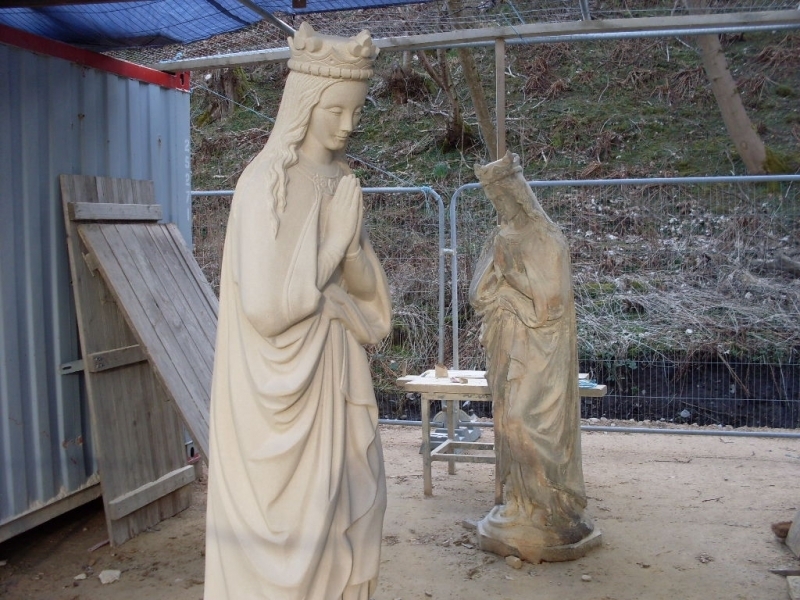 The stonemason set up the old statue next to the new stone for the accurate transfer of dimensions and profiles. 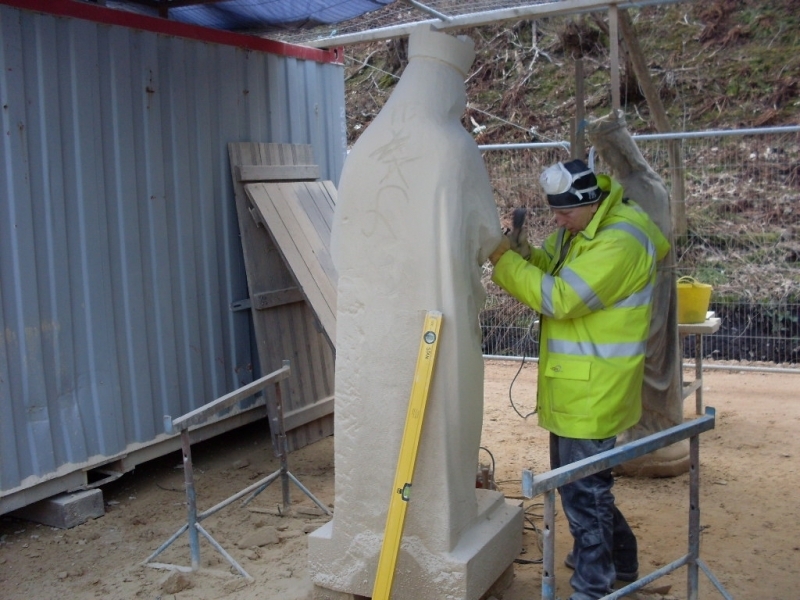 He carved the stone using hand carving chisels, small grinders & cutters and smoothing of with carbide stones. 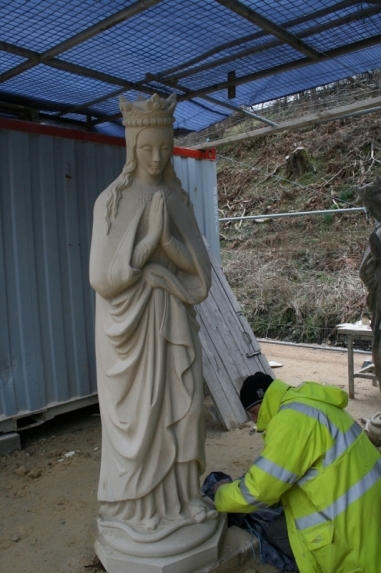 The work took exactly 6 weeks to complete and the pictures below show the different stages of carving. 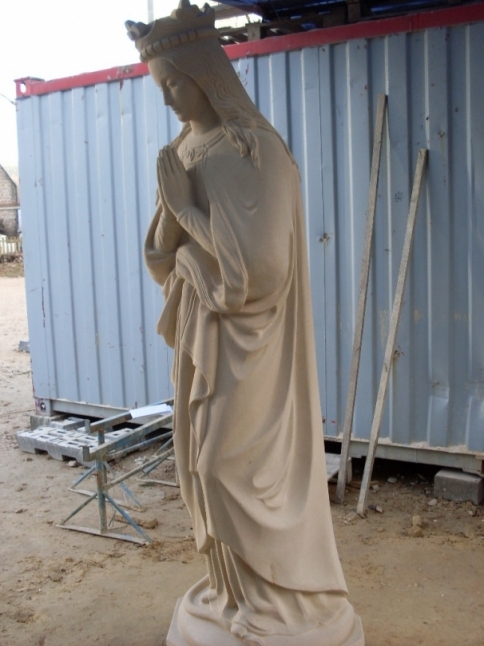 The statue took its pride of place back in its Granite Niche on April 2011.